Do you have a heart to reach out to hurting teens and families? Do you desire to minister through deep personal relationships? Are you missions-minded with a desire to reach people with the Gospel? If so, then The Fold might be the place for you! At The Fold, we are passionate about getting the good news of the Gospel out to hurting families and teens. We believe there is no better way to live life than in Jesus. As a staff member you would share in helping others find Jesus as Life. The Fold serves hurting teens and families primarily, but we are also a resource for the local community and body of believers. Our desire is to use our God-given gifts and talents to minister to those around us, both inside and outside the church. Jesus lived with His disciples as a role model of the Christian walk. The disciples could ask tough questions and observe Christ as He demonstrated ways of seeing life from a faith perspective. At The Fold we use the same strategy. Our staff members draw on their own past experiences and daily challenges as learning opportunities, teaching the residents about God's truth and directing them toward Jesus. This method of ministry has two results: residents are instructed and supported, and staff also grow in the Lord. Whether you're being called to full-time ministry or a season of service, The Fold is a great place to learn and grow. The Fold hires staff from a variety of educational backgrounds, with requirements specific to each position, and considers relevant experience. The Fold is an intense incarnational ministry and therefore requires staff members to be spiritually mature and emotionally healthy. Staff members continue to grow actively in each of these areas throughout their time serving at The Fold. The Fold looks for staff members who are energetic, compassionate, flexible, fun-loving, empathetic, trustworthy, and steadfast. Staff members must be able to engage wholeheartedly in the Christ-centered and growth oriented culture at The Fold, realizing that each person brings unique and valuable strengths and perspectives to the group. Due to the nature of the ministry, staff members must be able to approach issues that carry great spiritual and emotional heaviness. House Parents provide leadership and oversight in one of our residential homes. As a House Parent, you'll set the spiritual tone of the home, provide leadership to the students and staff, oversee daily household operations, and develop critical relationships through which you can share Jesus. You should have a passion for Jesus and experience ministering to youth. Education in a related field is preferred but not necessarily required. You should have leadership experience and be willing to walk alongside staff and teens in their struggles. Resident Instructors live and work in our one of our homes, which serves 5 to 10 young men or women between the ages of 13 and 17. As a Resident Instructor, you'll help to create a safe and healthy environment for our teens by establishing daily routines, planning recreational activities and day trips, sharing meals, leading Bible studies, and discipling the teens in your care. Experience ministering to teens is required; education is preferred. You should have a desire to mentor struggling teens. You should be energetic, compassionate, fun-loving, empathetic, trustworthy, and flexible. The Fold offers short-term internships designed to provide experience and exposure to our unique model of residential discipleship ministry. Interns are immersed in home life, shadowing our full-time staff. They live in the home where they participate in the daily routine, staff meetings, and training. Internships are designed to last between 6-8 weeks and are an excellent opportunity for students to fulfill their field service requirements while gaining valuable experience. Internships can occur at any time during the year. It is not a paid position, but room and board is provided. Historically, the intern program has been an effective stepping stone to a full-time position with the ministry. While your schedule would look different depending on your role, one aspect is consistently true for all staff: you would be living out your faith every day, in every situation. We believe the best way to minister is through relationships. These are not shallow or manipulative relationships, with an attitude of superiority. Instead, you relate to residents from the outflow of your own heart, understanding that God has been gracious to you, so you want to share His love with others. When we consider the hard facts, many of us would say that we only live out of our faith during certain parts of the week, Sundays at Church, Wednesdays at youth group, and so on. At The Fold, this lifestyle would be challenged as all of your time, in all you do, would need to be an outflow of your faith relationship with Christ. This is one of the greatest areas of personal growth for each staff member. Through accountability, relationship with leadership staff, and daily living in a ministry environment you will learn how to submit all areas of your life to the Lord. You will also reap the great benefits of this life. Your time here will be challenging and demanding, but you will find that, "hard isn't bad, and easy isn't necessarily good." God is faithful to complete the work He started in you. This kind of engaged faith allows God to continue doing the transforming work of Christ in your life. 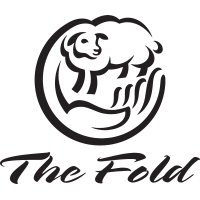 Read more stories about the life-changing influence of The Fold from residents, parents, and staff. We have a very thorough interview process for those applying for staff positions at The Fold. This process helps everyone involved determine if The Fold is truly the right fit for the prospective staff member. An on-site visit of typically 4-7 days gives prospective staff a chance to experience all aspects of the ministry, get to know staff, and ask questions.